Don't you just hate it when a good shade gets discontinued? I know I do. This is one of those shades. I am not sure if this got discontinued last season change or with the new bottle release Essence just did, but this lovely navy creme isn't available anymore. Good thing this shade isn't the most unique out there. 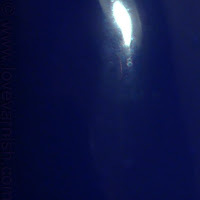 I do like it very much though, as it applies very easily, but also has the exact shade of blue I love. Bold, but not bright. Dark, but not black in lots of lighting. I needed 2 coats and combined with topcoat it gets even more shiny than it looks on its own. This also makes a great base for layering! It quite is :), thanks!